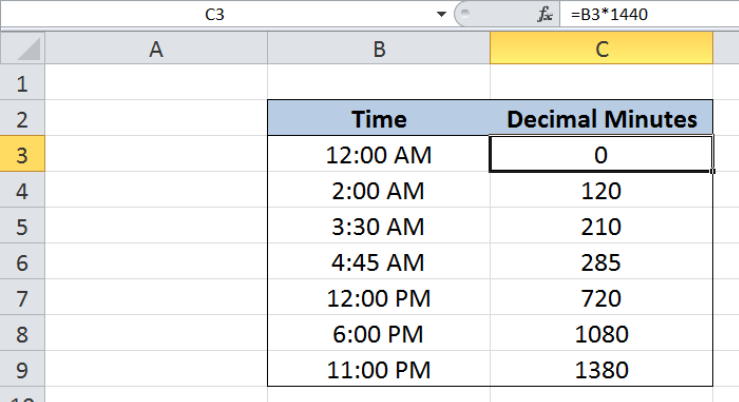 Excel has a unique way of storing time through serial numbers, making it possible to perform mathematical operations and conversions to values of time. 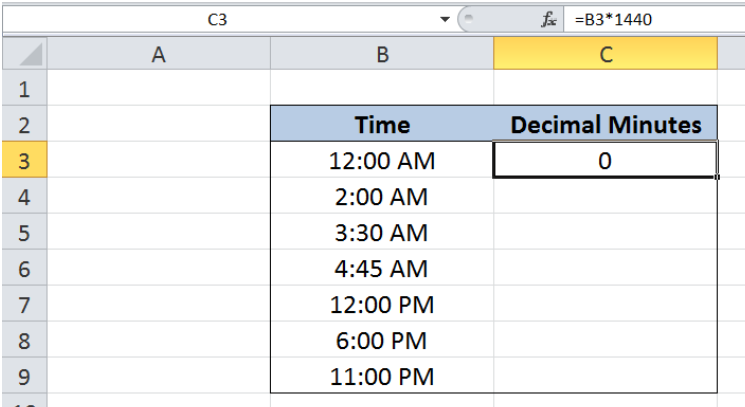 This step by step tutorial will assist all levels of Excel users in converting Excel time to decimal minutes. Our data consists of two columns: Time (column B) and Result (column C). 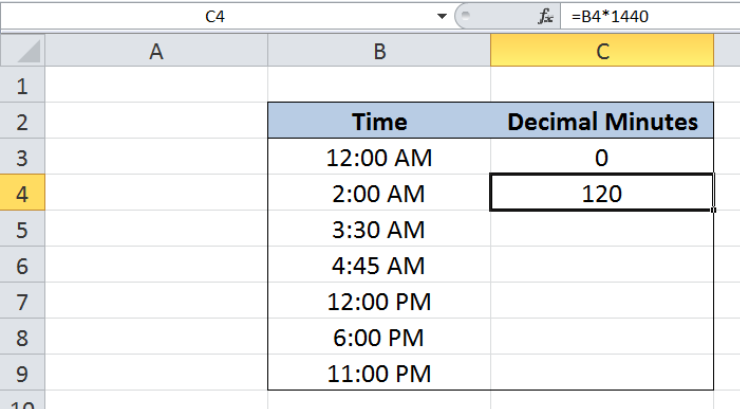 We want to convert the time in column B into decimal minutes. 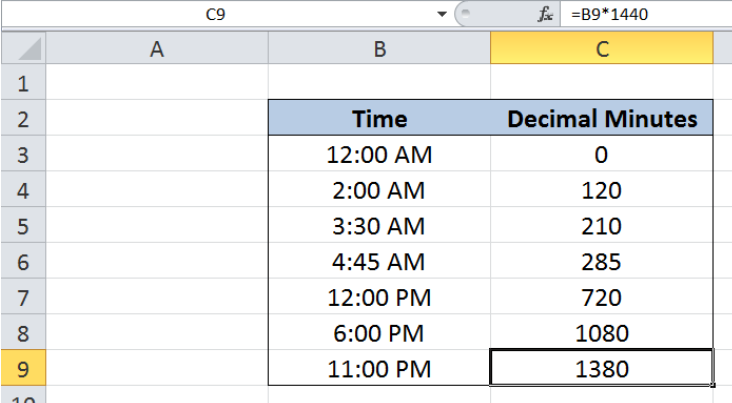 The results will be recorded in column C.
It is important to set the format for column C to General or Number so that the decimal minutes is correctly presented. As a result, cell C4 has a value of “120”. The succeeding examples are converted to decimal minutes in the same manner. 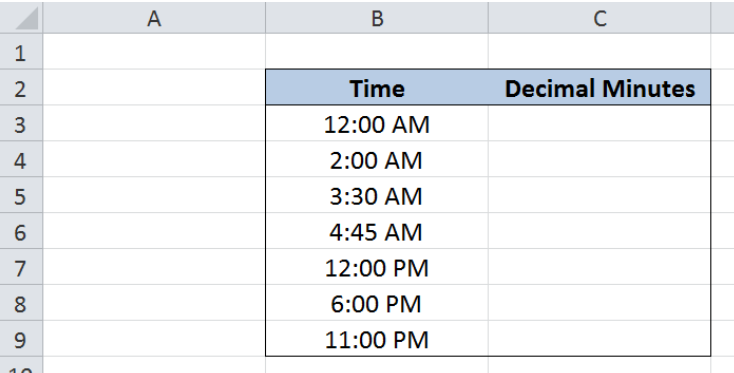 Please tell me the formula to convert minutes and seconds in format 00:00 to decimal. Thank you.